Palace of Versailles and Musee d'Orsay will appeal to museum buffs. Take a break from the city and head to Scuba & Snorkeling and Seine River. Venture out of the city with trips to Fondation Claude Monet (in Giverny), Versailles (L'Orangerie & The Trianons & The Hamlet) and Le Bois des Aigles (in Balines). And it doesn't end there: head off the coast to Île de la Cité, take in the spiritual surroundings of Cathédrale Notre-Dame de Paris, appreciate the extensive heritage of Montmartre, and shop like a local with Champs-Elysees. Ask Inspirock to suggest an itinerary and make planning a trip to Paris fast, fun, and easy. If you are flying in from United States, the closest major airports are Paris-Orly Airport, Charles de Gaulle International Airport and Paris Beauvais Tillé Airport. 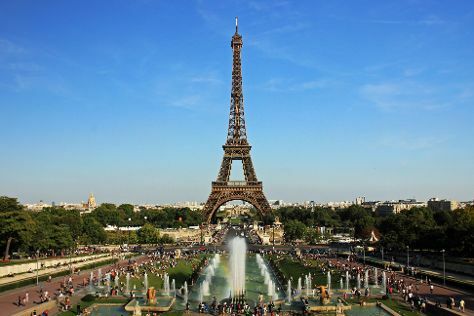 In July, daytime highs in Paris are 79°F, while nighttime lows are 60°F. Finish your sightseeing early on the 13th (Tue) so you can travel back home.